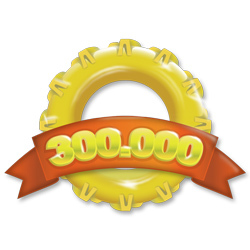 Mascus, one of the biggest online marketplaces in the world for the sale of transportation vehicles, construction machinery, agricultural, material-handling equipment and forestry, has reached a new major milestone in its growth – 300,000 online advertisements. Mascus has become not only a global brand but also one that is creating new markets for dealers and end buyers worldwide. Our global presence is built on strong foundations particularly in the key markets of Germany, UK, France, Northern Europe and the USA. “When we launched Mascus back in 2001 in Northern Europe, we could not imagine such a global success 13 years later. It takes a lot of time, resources and energy to build the business and international network we have today. A pretty website is not enough, we have learned that we must be on the ground locally and be as close as possible to the industry and constantly visiting our customers” says Rickard Krøtø, Mascus COO. “Every day we increase our reach. The reason why we attract new buyers of machines and trucks in South Africa, Russia, China, Japan, USA, Sweden, Germany is because we have offices and Mascus teams in all these countries and another 30 locations. We are proud in being a truly international team who are taking the heavy machinery online trading forward. No other website on the market can offer this level of expertise and global coverage!” says Gauthier Dominicy, Marketing Manager. Mascus is constantly improving its existing services while developing new and innovative ones to satisfy the customers’ increasing needs for new ways of selling heavy machinery equipment. For a complete list of Mascus products and services please follow this link.